Russelectric manufactures UL-listed cogeneration systems for combined heat and power (CHP) applications in which the generator sets are run to serve the connected load and heat is also recovered for other uses. All Russelectric cogeneration systems are UL listed, offer programmable logic controller (PLC) system controls, and are supervisory control and data acquisition (SCADA)-capable. They feature utility/generator paralleling control, and provide active synchronization and soft loading. Systems use a utility-approved interconnecting protective relay system. 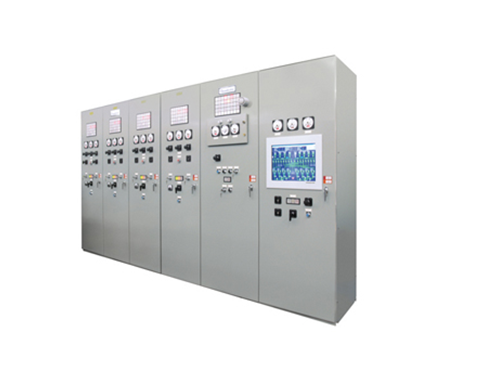 Russelectric cogeneration power control switchgear may have additional controls and monitoring to optimize heat recovery. The systems can be designed to operate in parallel with the utility to optimize power and heat balance. Designed and built for mission critical facilities, Russelectric cogeneration systems are designed to provide maximum protection for operators and maintenance personnel and to minimize the danger of operator error. Russelectric manufactures complete systems in-house. All enclosures, bus, and other structural components are fabricated and fully assembled in Russelectric plants. Factory testing of complete systems is performed prior to shipment. Components are selected to assure the reliable operation of these critical systems. Utility-grade instruments provide both accuracy and visibility. Heavy-duty, switchboard type control switches are rated at a minimum of 25 amps. Protective relays for generator and utility power are utility-grade. UL-listed power circuit breakers with stored energy closing mechanisms provide 5-cycle (maximum) closing for paralleling. Drawout circuit breakers simplify maintenance.